METALWINGS ON TOUR 2019 WITH IMPERIAL AGE! METALWINGS WILL SUPPORT THE LEGEND ROTTING CHRIST ON 11.03.2019 IN IASI, ROMANIA! ⚠️⚠️⚠️We can officially announce that we are joining Imperial Age at their European Tour 2019 in Austria and Romania!!! Can’t wait to see you there! 📣🎬🤗We are proud to present our 3rd Official Music Video for the song “For All Beyond” – the self-titled song from our debut album “For All Beyond”. It’s a piece of our hearts! Many thanks to Max Morton for his awesome guest vocals! Let’s spread it around the world! Thank you all and enjoy it! Some photos from our last show on November 1st at Sofia Live Club supported by Adastia! Less than a week until METALWINGS show at SOFIA LIVE CLUB! On November 1st, 2018 will be the Premiere of our 3rd Official Music Video for the song “For All Beyond”. В деня на Народните будители – 1 ноември, родната симфоник метъл група METALWINGS ще представи в Sofia Live Club своя трети официален клип към песента „For All Beyond“. Песента е част от едноименния дебютен албум на групата, който беше издаден на 19 април 2018 г.
Концертът на METALWINGS ще бъде подкрепен от румънската група ADASTIA! Билети могат да бъдат закупени на входа. Цена: 15 лв. November 1, 2018 is the date on which we will present to the world, to all fans and friends, our third Official Music Video for the song “For All Beyond” – the self-titled song from our debut album “For All Beyond”. Our concert and promotion will take place on November 01, 2018, at 21.00 at Sofia Live Club. At the venue you will also be able to purchase physical disks of our album “For All Beyond”. The event will be supported by the Romanian melodic/power band Adastia. We hope to see you on November 01, 2018! FOLLOW AND JOIN THE EVENT! April 19, 2018 is the date on which we will present to the world, to all fans and friends, our first studio album called “For All Beyond”. Those of you who want to hear the songs from our album live can join our concert promotion, which will take place on April 19, 2018, at 21.00 at club Mixtape 5 *, (B -Side). At the venue you will also be able to purchase physical disks. 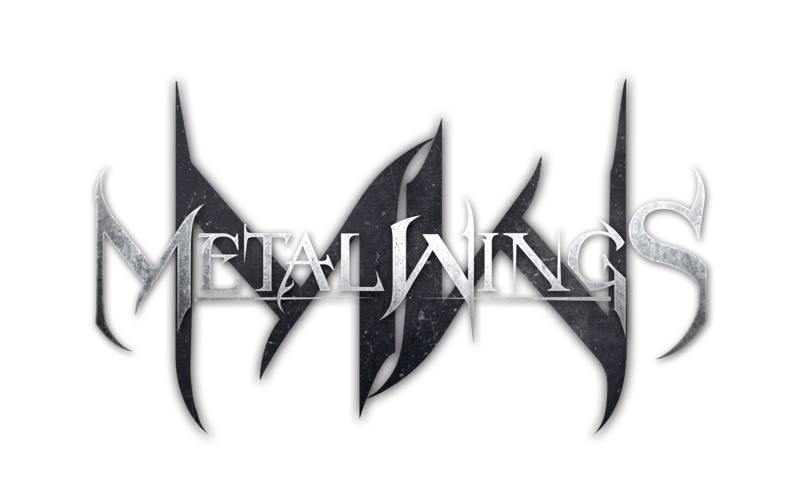 We can’t wait to introduce you the world of Metalwings and listen to the songs from our album “For All Beyond”, created in the name of music from the bottom of our hearts. We hope to see on April 19th people’s faces thirsty for something new, inspiring and created to touch your hearts. ⇒ На 8-ми юли 2017 година ще се присъединим към Рок Елешница и Диабет без страх! ⇒Времето на офоциалната промоция на видеото към песента Fallen Angel in the Hell наближава!! ⇒”Преди обед” по BTV на 5 януари 2017 г. ⇒Минути след интервюто за предаването ГАРАЖ по Z-ROCK на 5 декември 2016 г.